Christians have the reward of heaven to earn at God’s appointed time. Therefore, we must not allow temporal earthly activities to influence us. “If then you were raised with Christ, seek those things which are above, where Christ is, sitting at the right hand of God. Set your mind on things above, not on things on the earth. For you died, and your life is hidden with Christ in God” (Colossians 3:1-3). Heaven has many benefits, but they won’t be handed to anyone cheaply. Whoever intends to inherit the kingdom of God must daily carry his cross and follow Jesus Christ. Christians must resist the temptation of sin. We must strive to satisfy God in holiness as the Bible instructs, “Therefore put to death your members which are on the earth: fornication, uncleanness, passion, evil desire, and covetousness, which is idolatry” (Colossians 3:5). “Therefore, as the elect of God, holy and beloved, put on tender mercies, kindness, humility, meekness, longsuffering; bearing with one another, and forgiving one another, if anyone has a complaint against another; even as Christ forgave you, so you also must do. But above all these things put on love, which is the bond of perfection” (Colossians 3:12-14). Dear God, I understand you require your children to set their eyes on things that are heavenly (which are eternal). You also ask your children to disengage from sinful activities so that we can run a successfully Christian race; therefore, I ask that you, please empower me by the Holy Spirit to meet your expectations. Count me among the people that will rejoice in your presence forever in heaven. For in the name of Jesus Christ I pray. Amen. The disciples of Jesus asked, “Who then is greatest in the kingdom of heaven?” Then Jesus called a little child to Him, set him in the midst of them, and said, “Assuredly, I say to you, unless you are converted and become as little children, you will by no means enter the kingdom of heaven. Therefore, whoever humbles himself as this little child is the greatest in the kingdom of heaven. Whoever receives one little child like this in My name receives Me” (Matthew 18:1-20). Greatness has much to do with faith and practices. That is, someone who wins this materialistic world but denies Christ will not be considered as “great” by God. Such person will not qualify for God’s kingdom. The bible states, “For what will it profit a man if he gains the whole world, and loses his own soul?” (Mark 8:36). Anyone who will satisfy God’s description of greatness must have an open mind to learn and practice the word of God. A great person, according to the right standard, must love God. He must repent of his sins and confess Christ Lord. He must also be humble and not resent others. A great person must forgive others. He must also preach the gospel of Jesus to other people. Dear God, I don’t want to gain the world and lose heaven! Please help me to live up to your standard. Give me a teachable spirit to follow the teachings of the Bible. Let the Holy Spirit empowers me to faithfully serve you unto the end. For in the name of Jesus Christ I have prayed. Amen. “And I saw three unclean spirits like frogs coming out of the mouth of the dragon, out of the mouth of the beast, and out of the mouth of the false prophet. For they are spirits of demons, performing signs, which go out to the kings of the earth and of the whole world, to gather them to the battle of that great day of God Almighty. “Behold, I am coming as a thief. Blessed is he who watches, and keeps his garments, lest he walk naked, and they see his shame” (Revelation 16:13-15). Satan will definitely send out his demons to deceive people during the end time period. The scripture warns all people to be vigilant, and avoid falling for Satan’s trap. Whoever falls for the enemy’s trap will suffer irreparable loss. All Satan’s victims will end up in hell fire! To be forewarned is to be forearmed! All people must endeavor to know the truth. We must effectively study the word of God, and we must not believe any teaching or prophecy that lacks bases in the scriptures. Believers must be prayerful, and we must ask God to empower us through his Holy Spirit to always meet the mandate of God. May you not be disappointed on the Lord’s day of judgment! Dear God, please save my soul from the evil ones. Save me from the deception of Satan and his forces. Help me to know the truth, entertain the truth, and practice the truth. Do not let me become Satan’s victim but help me to triumph in every situation and remain fit for your heavenly kingdom. For in the name of Jesus Christ, I make my requests. Amen. “Moses, because of the hardness of your hearts, permitted you to divorce your wives, but from the beginning it was not so. And I say to you, whoever divorces his wife, except for sexual immorality, and marries another, commits adultery; and whoever marries her who is divorced commits adultery” (Matthew 19:8-9). Marriage is the oldest institution that God created. He instituted it for Adam and Eve in the Garden of Eden. God, who started the idea of marriage, still loves the institution today. He prefers marriage to divorce. God expects Christian couples to work out their differences amicably and keep the sanity of their home. God does not want anyone to tamper with the special institution. He wants people to keep to the marriage tradition as an institution that mainly consists of a man and a woman. Homosexuality is not in the language of God for marriage! God, also, expects married couples to be matured people. They must have a clear understanding of what the institution is about. Married couples must be ready to submit to each other. They must relate to each other in honesty. Also, they must forgive each other to keep the health of their relationship and grow in love. Married couples must seek the prosperity of their home. They must have mutual respect for each other. Most importantly, married couples must promote the fear of God in their home! Dear God, please give me the grace to be committed to my marriage. Help me to give whatever it takes to make my relationship successful. Please give my spouse and me the ability to submit to each other. Help us to trust and love each other as you loved and died for us! Please enrich my union with every blessing of life. Please let our home radiate the beauty of your goodness, even now and forever more! For in the name of Jesus Christ, I make my requests. Amen. Remember: God’s Presence Is Required For A Blissful Marriage! “Then the kingdom of heaven shall be likened to ten virgins who took their lamps, and went out to meet the bridegroom. Now five of them were wise, and five were foolish. Those who were foolish took their lamps and took no oil with them, but the wise took oil in their vessels with their lamps. But while the bridegroom was delayed, they all slumbered and slept. “And at midnight a cry was heard: ‘Behold, the bridegroom is coming; go out to meet him!’ Then all those virgins arose and trimmed their lamps. And the foolish said to the wise, ‘Give us some of your oil, for our lamps are going out.’ But the wise answered, saying, ‘No, lest there should not be enough for us and you; but go rather to those who sell, and buy for yourselves.’ And while they went to buy, the bridegroom came, and those who were ready went in with him to the wedding; and the door was shut” (Matthew 25:1-10). Christians are to make adequate preparations for the second coming of Jesus Christ. We cannot be slothful but prepare and be ready for the return of our Lord Jesus Christ! Once he comes, he will rapture the prepared Christians to his kingdom. Believers must do our due diligence to keep fit for the second coming of Jesus Christ so that we won’t be disappointed. Unfortunately, Christ has said not everyone will have the criterial for heaven; those that will be considered unqualified are the people who failed to make an adequate preparation as Bible required. That is, the nonchalant (those who refused to confess Christ as their Lord) and the unrepentant sinners will not have a portion in God’s kingdom. It is important that everyone daily live up to the standard of God as they read and meditate from the Bible. Christians must comply with the standard of God stipulated in the Bible to qualify for the rapture on the last day! Indeed, our aspiration and efforts to comply with God’s standard will pay off in the end. Jesus will transport us to heaven to forever enjoy his immeasurable benefits. Dear Jesus Christ, please count me worthy to be raptured on the last day. Let your Holy Spirit rule me to live up to your standard so that I can be transported to heaven. Help me to study your words and practice the lesson learned. Let the Holy Spirit empower me to act in accordance with the Scripture so that I can make heaven and rejoice in your presence forever. For in the name of Jesus Christ, I make my requests. Amen. Jesus Christ focused his teachings on the requirements of God’s kingdom, of which forgiveness is one of them. Jesus even taught his disciples to request that God should pardon them, as they release those who have offended them. That is, every child of God must forgive other people to receive the forgiveness of God! Christ himself opened the pathway of forgiveness and salvation for us when he died on the cross for our sins! The scripture testified; “while we were still sinners, Christ died for us” (Romans 5:8). Therefore, since we are saved by grace, we ought to extend the same grace to other people by forgiving their offenses. Although it might be difficult to forgive sometimes, we have no choice but to let go offenses. It is, also, the major reason why Christians ought to pray for the empowerment of the Holy Spirit at all times. The Spirit of God will energize us to forgive others and live uprightly with Him! Dear God, please give me the grace and strength to forgive people who have wronged me. Help me to practice forgiveness as you demonstrated it on the cross. Please give me a tender heart like the little children to forgive others. Empower me to walk uprightly before you so that I can qualify for your eternal kingdom. For in the name of Jesus Christ, I make my requests. Amen. Christianity is a religion established by God to save people from destruction and grant them an opportunity to obtain God’s eternal peace and joy in heaven. The strength of Christianity cannot be compared to any other religion since the path was created by Jesus-the Son of God. “But as God is faithful, our word to you was not Yes and No. For the Son of God, Jesus Christ, who was preached among you by us—by me, Silvanus, and Timothy—was not Yes and No, but in Him was Yes. For all the promises of God in Him are Yes, and in Him Amen, to the glory of God through us” (2 Corinthians 1:18-20). Christianity is all about the gospel of Jesus Christ. The religion teaches people to believe in Jesus as the Son of God and confess him as their Lord to be saved. That is, a person must agree that Jesus Christ is the Son of God and personally confess him as Lord to be saved. Why must a person only go to God through Jesus Christ? The answer is plain and simple: Jesus declares, “I am the way, the truth, and the life. No one comes to the Father except through Me” (John 14:6 – NKJV). Since we are all sinners, we need an advocate on God’s last day of judgment; Jesus will advocate for his followers (the Christians). Anyone who has refused to confess Jesus as his (or her) Lord will lack an advocate on God’s last day of judgment. He (or she) will face the wrath of God and be condemned to hell. Since “All have sinned and come short of the glory of God” it is important that a person has an advocate on God’s day of judgment. Only Jesus Christ can properly defend a sinner since he has died to pay the penalty of humans sins. Only Christ’s followers will have an opportunity to enjoy the benefit of his sacrifice offered. Hence, it is advisable for everyone to confess Jesus Christ as his (or her) personal Lord and Savior before he dies. There shall be no opportunity of sin confession and repentance after death. 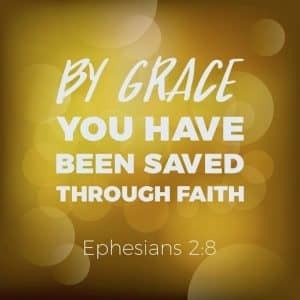 Declare your faith in Jesus Christ to be saved! Don’t hesitate to take the step of salvation. Confess Jesus as your personal Lord and Savior. Dear God, I now understand that Christianity is not just a mere religion; it was founded by Jesus Christ to save a sinner like me. Therefore, I have decided to personally declare Jesus as my Lord! Jesus Christ is the Son of God! I confess him as my personal Lord and Savior. From now on, I will be a true Christian! Please give me the grace to faithfully serve you unto the end! For in the name of Jesus Christ, my Lord, I have prayed. Amen!